The first single from Danielle Bradbery is great. 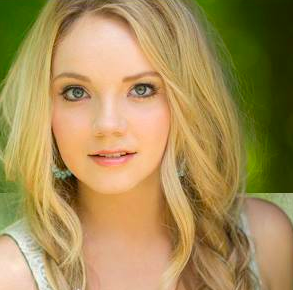 Everyone that watched The Voice could hear that Danielle Bradbery was a star. She’s going to be the one that brings some legitimacy to the show. There have really be no stars to come out of it yet, but Danielle is going to have a big career. Her voice is amazing and thankfully country fans get to enjoy her music for years to come. The first single has a little bit of Dixie Chicks and Faith Hill. Check it out. This is a great choice for the first single. It’s a song about a girl that wants to run after her dreams. She’s willing to leave her life behind to make her dreams come true. Even though it’s not about a wild girl it still reminds me of Faith Hill’s first single or something the Dixie Chicks would have put out the ’90s. There is that element of a girl that’s looking to get away from the life she knows. She loves it, but wants more and she knows she has to chase it if she wants to get it. This song is probably going to debut at number one on the country charts and should stay there for a few weeks. Danielle is going to have a big hit with this one and hopefully the hits keep coming. Country has a new star on its hands. She deserves a better written song, will not be #1. I like her and she needs to have a song that has a good story line, with memorable lyrics not the songs that have short lines that rhyme. the song writer is trying to paint a picture with lyrics like ” you ain’t comin’ back Jack, find another sucker with a big rack”. Oh, what a picture that paints. Those songs will live a short life and be buried in the stink pile right next to all the other “modern country songs”. Well, know you where I stand!!! !